From the familiar to the obscure, these fifteen classic stories are a gateway into a world of magic, danger, and romance. 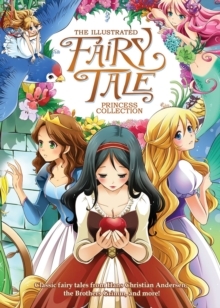 The book includes classics like "Cinderella" and "Sleeping Beauty" and lesser known tales like "Snow White and Rose Red" and "The Twelve Dancing Princesses." Each story features a princess, or a girl who becomes a princess through her kindness, determination, or compassion. New manga-style illustrations from Shiei, illustrator of Seven Seas' edition of Pride and Prejudice add to the enchantment of this beautiful collection.